A “The Sunday Mail” Top Pick! 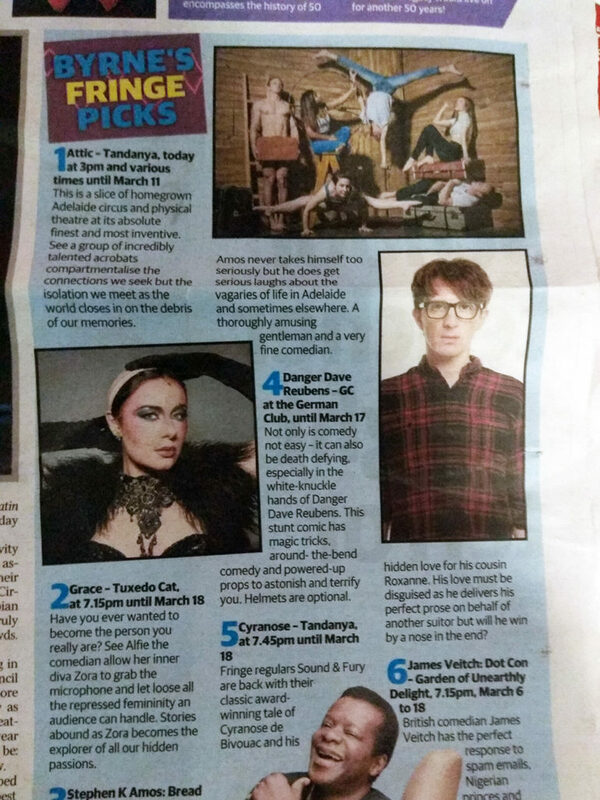 I’m absolutely chuffed to have been selected as 1 of only 6 acts in Matt Byrne’s “Fringe Top Picks”. The other acts were massive too! It was published in today’s “The Sunday Mail” newspaper! If you want to see what the fuss is all about, come see the show.